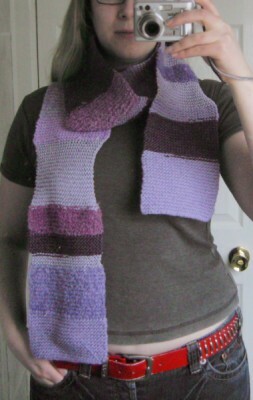 This is a scarf I finally finished a few days ago. It’ll be a present for one of my friends, I have someone in mind for it already. 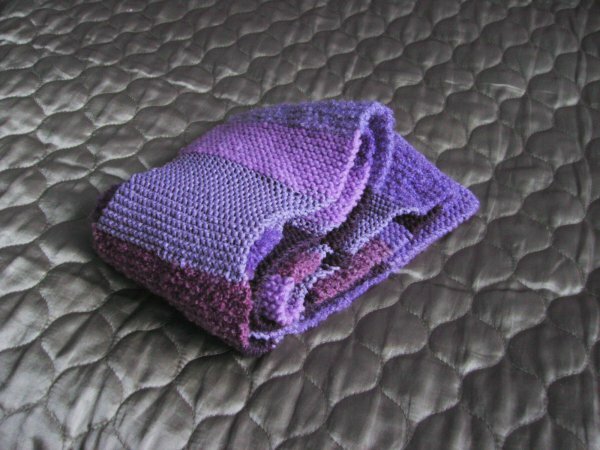 I’m planning to make a blue one and a pink one in the same way. Actually the pink version is already started. I was looking through my stash of wool and discovered that, I have too many scraps laying around, and it’s time to put them to good use. It’s such a dull lightless day here today, I had a lot of difficulty trying to show the colours of this thing! I fiddled around with the saturation for these photographs, but there is no substitute for a bit of proper sunshine.